Hubert Candelario was born on November 2, 1965. 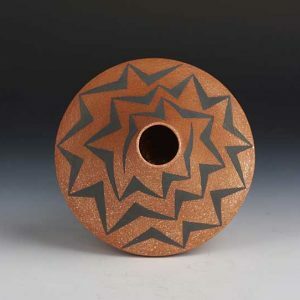 Historically, San Felipe was never active as a pottery center. 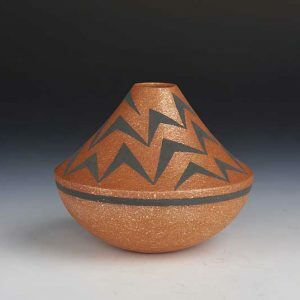 The San Felipe residents obtained their pottery in trade from neighbors, most often from the Zia pueblo. 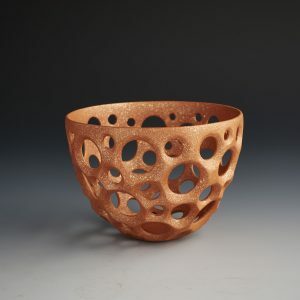 Hubert began making pottery at the age of nineteen. He graduated from the Phoenix Institute of Technology with an associate’s degree in architectural design and drafting. His first love was, and still is, the micaceous clay found at Nambe and Picuris. 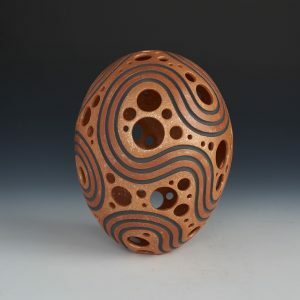 It is with this clay that he now slips his dramatic “swirl” and “holey” pots. 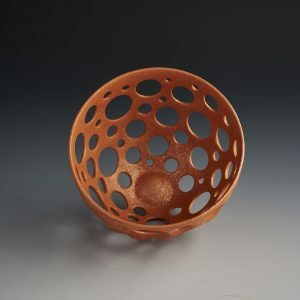 For the bodies of his pots he uses local red clay. 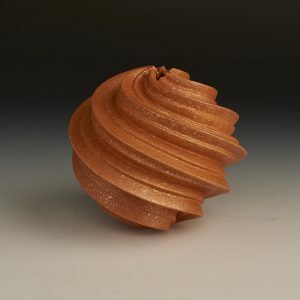 He then completes the design with a slip of micaceous clay to help create this fabulous color and texture. His pots are totally hand made. 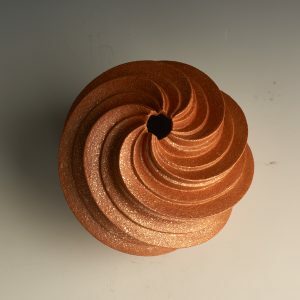 The mica radiates and glistens and the end results are so eye catching. Hubert has won numerous awards. 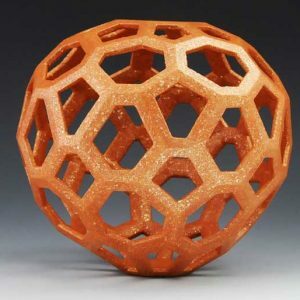 His work was prominently displayed at the “Changing Hands” exhibit and catalog from the American Craft Museum in New York City. 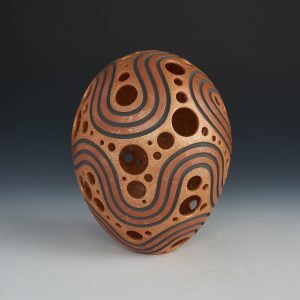 We are so pleased to have sold one of his large swirl melon jars to the Denver Art Museum for their permanent collection.